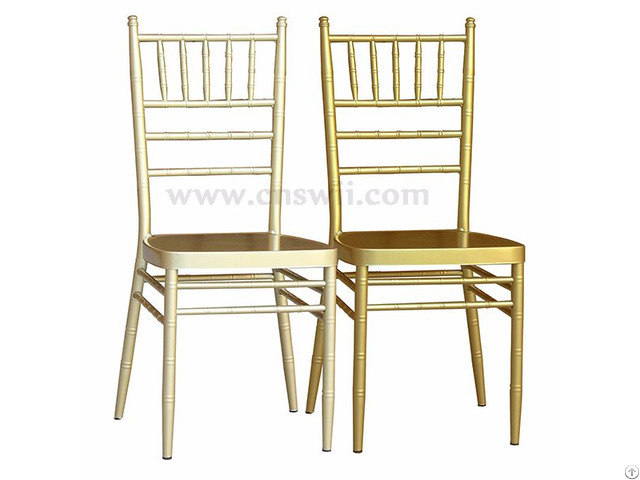 Tiffany chairs for sale of our company are durable, light weight and easy to handle, adding extra elegance to your wedding ceremony. 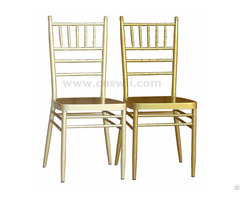 We are factory of wedding chairs and we have been selling tiffany chairs since 2001. During our company business, the sales amount of tiffany chairs are growing fast and has become the best seller of our wedding chairs. 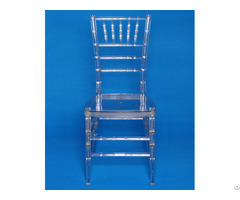 The chair tiffany are great popular on wedding ceremonies, hotels, receptions, and ball rooms. This chair is made by aluminium and the color is gold, but you can also make it the color you like. Along with the aluminium tiffany chair, our company also supplying resin tiffany chairs for your choice too. The color of the chair could be customized to your wanted color, including white, gold, silver, black and etc.